The Office and Work of Universities (by John Henry Newman, 1856). This small volume is a republication of certain letters, published by the author in the Catholic University Gazette, the Dublin organ of the founders of the New Catholic University. As might be expected, from the manner in which it was published, it is very discursive, not to say rambling; and, indeed, the task which the author proposed to himself was so various and extensive, that it could hardly issue in anything very profound or definite. He aimed at nothing less than giving some description of “the nature, the character, the work, and the peculiarities of a University—the aims with which it is established, the wants it may supply, the methods it adopts what it involves and requires, what are its relations to other institutions, and what has been its history.” Thoroughly to paint such a picture on such a canvas is of course impossible; but as we might have anticipated, from the reputation of the artist, we are favoured with a series of sketches, some of which are highly interesting, whilst all are drawn with very considerable spirit and power. The most elementary conception of a University, according to Dr. Newman, is a “place of concourse, whither students come from every quarter, for every kind of knowledge.” Great capitals are, in his view, Universities on the very largest scale. Parliament is a University for politicians; and the Law Courts and the whole legal society which belongs to them are a University for lawyers. Such bodies as these are only virtually Universities; but they serve to illustrate the doctrine that the indispensable prerequisites for a University are, the wish to acquire knowledge on the one hand, and the power of supplying it on the other. The necessary machinery for performing this operation embodies two elements—personal influence and systematic discipline. Sketches of the various methods by which these influences have at different times been set in action fill the greater part of Dr. Newman's volume. His account of the schools of Athens and Alexandria is very curious and interesting, though the effect of the first, at least, is a good deal marred by that gawdy eloquence which so frequently disfigures the author's later publications. The other kind of argument peculiar to Dr. Newman is equally well marked. Its specific peculiarity consists in making his case rest upon its weak points. What is a stumbling-block to other controversialists, is to him matter of triumph. 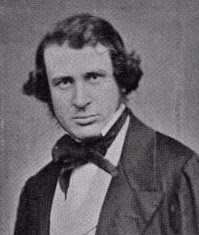 Much in the same spirit which '' Warburton to demonstrate the Divine Legation of Moses from the fact that his books contain no reference to a future state, Dr. Newman always considers that what seem to all the rest of the world difficulties in his way are, in fact, the very grounds of his convictions. “Many of your doctrines,” it was objected to him, “are corruptions invented at a specific time, for a specific purpose, in a specific manner.” “Is not the whole history of theology,” he replied “a history of development, and can any body claim to be the true Church which does not possess the power of developing Christian doctrine?” “The populations of Spain and Italy are degraded, unsteady, and childish,” said his opponents. “Yes,” was the answer; “you must become as little childish before you can enter into the kingdom of heaven, and how can you expect little children to have the virtues of grown men?” “You are committed,” it was said, “to doctrines opposed to fact—you believe that the sun moves round the earth.” “See,” was the answer, “how unable a Protestant is to teach even physical science correctly! The sun does, in fact, revolve round the earth; but as astronomy would have taught you to believe the opposite doctrine, your ignorance of theology has actually led you into an astronomical error.” The effect of these methods of argument of course varies very much, according to the nature of those to whom they are addressed. The charms of a paradox are too obvious to be dwelt upon; and, with man minds, nothing can be more efficacious than the dilemma. It has almost always a semblance of candour about it which is particularly attractive. “Go a little further,” it says, in substance; “follow out your own convictions one way or the other, and I will leave you at peace.” It seems no discredit to a man to tell him that, by a slight alteration, he may make himself consistent, however much you may disagree with him. So long as he has only to refute and bewilder, a master of such weapons as these may be a very formidable antagonist; but when he comes forward as a founder, he gives an ample revenge to his victims. In the book before us we see unmistakeable symptoms of the fact that Dr. Newman is preparing a triumph for his antagonists. Facts are far more stubborn than men. It may be possible to drive a man into accepting a creed which he more than doubts, by persuading him that he must make his election between that creed and none at all; but you cannot found a University on a dilemma. No doubt it would be a great triumph for Dr. Newman if he could found a body to which students would flock a century hence from all parts of the world, “last, but not least, from Great Britain;” and it may be very true that, if he is right, they will. But all depends on the if. They will not come for the sake of relieving his memory from a logical difficulty. We can quite understand that, according to his view of the matter, he and those who act with him ought to be the sole depositaries of truth; but, unless they actually are so, they will only succeed in founding what the Americans would call a “bogus” University. What will Dr. Newman and his associates teach which is not better taught elsewhere? The very essence of the undertaking is, that every part of knowledge is to be taught, and so taught as to harmonize with Roman Catholic theology. Does he really believe—not as a point of honour and as a consequence of something else, but with that primary simple conviction with which he believes in the rules of arithmetic—that students of all nations will flock together to learn that the sun moves round the earth, though arrangements, have been made for the purpose of conducting the rest of the solar system on the contrary hypothesis? Does he hope to make it an element of successful popular teaching that dew descends, though it has been contrived that all observed facts should be best explained upon the supposition that it does not—or that usury is wrong, and consists in taking more than 5 per cent for your money, which is perfectly right—or that the glory of English History between the seventh and eleventh centuries consists in “the roll of 23 kings, and 60 queens and princes, who gained a place amongst the saints”—or that, whilst England has only 150 saints in its calendar, it cannot “pretend to equal that Irish multitude which only the Book of Life is equal to maintain?” A man who sincerely thinks that there is a great demand for a university which is to teach these and similar doctrines, is along way beyond the reach of any argument whatever. It is almost affecting to see the condition to which the necessities of his case have reduced a man of wide learning, and active and dexterous intellect. Dr. Newman's view of modern politics is altogether marvellous in its perverse ingenuity. It has so long been his habit to force his mind to feel that his theological beliefs are not only true, but the very foundation and necessary condition of all other truth whatever, without which it would immediately become false, that no political question presents any difficulty to him. The Pope must always be right—therefore, whatever view of public affairs justifies him most completely must be the true one. The part which Pius IX. has played in the events of the last ten years has not generally been considered very consistent or honourable. People in general would perhaps feel inclined to say that he began by being a kind of reformer and an opponent of Austria —that, being frightened by the power which he had evoked, he was thrown into the hands of the opposite party—and that at present he only avoids falling under the power of Austria by submitting to the humiliating protection of France. According to Dr. Newman, he is a splendid instance of “the heroic detachment of the Popes”—“detachment” being that spiritual virtue which consists in total indifference to everything but duty. What did Pius IX. care, says Dr. Newman, where he was, or in what condition? He saw nothing but his duty. His duty was to reform the Roman States, and he tried to do so; but the experiment failed from the worthlessness of the instruments, who wanted him “to be the head of Italy, to range himself against the sovereigns of Europe, and to carry all things before him in the name of religion.” Detachment could not stand this, so the Pope took refuge at Gaeta. Then “the party of disorder was defeated,” and detachment took him back to Rome—not that he cared about it the least in the world. “What matter where, if I be still the same.” There is such a thing as “detachment,” not only from the world, but from the worldly virtue of knowing one's own mind, and standing by one's own principles. The carnal name for this accomplishment is cowardice, or time-serving. Perhaps an equally remarkable specimen of the political teaching which is to characterize the new University is to be found in the estimate which Dr. Newman forms of Ireland, and its importance. What can we think of a man who gravely declares that the great phenomenon which the present spread of colonization presents is “the diffusion of the English language and of the Irish race”—or who gravely asserts that the present incipient prosperity of the sister country is to be attributed “to the simple energy of a courageous faith?” As to the diffusion of the Irish race, it is true enough that there are a good many Irish in the United States; but they are either absorbed by and assimilated to the more energetic population which they find there before them, or else they form little communities in the body of the nation, known principally by their inferiority to their neighbours in cultivation and social position. And as to triumphs of “ the simple energy of a courageous faith,” we must take the liberty to doubt whether all the innumerable roll of Irish saints put together would ever have thought of the Encumbered Estates Bill; and we still cling to the heretical conviction that, beneficial as the destruction or expatriation of a quarter of the population may ultimately have proved to the remainder, it was as strong a condemnation of the habits which rendered it necessary, and of the opinions which made those habits possible, as the nature of the case would admit. Has the “simple energy of a courageous faith” done much for the population of Southern Italy, beyond enabling it to exercise the childlike virtues of falsehood and cowardice, and to justify the failure even of a Pope's efforts to improve its condition, by the “inherent worthlessness” of the materials with which it supplied him? “On peut tout faire,” says the story, “avec les baionnettes, excepté de s'asseoir dessus;” and one may say much the same of those logical weapons of offence which have uniformly characterized Dr. Newman's polemics.